HONG KONG (Reuters) - Ant Financial Services Group, operator of China's biggest online payment platform by market share, Alipay, has closed its latest funding round having raised $10 billion from a clutch of global and local investors, five people with direct knowledge of the matter told Reuters. Ant's first fundraising targeting global money values the firm at $150 billion, the people said, compared with about $60 billion after its previous fundraising in April 2016. A number of global sovereign wealth funds and private equity firms joined the fundraising as main investors. They include Singapore's sovereign fund GIC Pte Ltd and state investor Temasek Holdings (Private) Ltd, as well as U.S. private equity firm Warburg Pincus LLC, the people said. Malaysian sovereign fund Khazanah Nasional Bhd has also joined as a major investor, one of the people said. The funding round also brought in private equity firm Carlyle Group LP and venture capital firm Sequoia Capital, which typically invests in early-stage start-ups, three of the people said. The amount and investor line-up are finalised and the transfer of funds is underway, the people said. The funding round includes a separate tranche of around 7 billion yuan ($1.1 billion) in new shares which has not been finalised, two of the people said. The people spoke to Reuters on condition they not be identified as the deal details are not yet public. Ant, controlled by Alibaba Group Holding Ltd founder Jack Ma, declined to comment. Carlyle, Temasek and Warburg declined to comment. Khanazah, GIC and Sequoia Capital did not immediately respond to a request for comment. The capital-raising comes ahead of a widely expected initial public offering (IPO), though Ant has neither publicly set a timetable nor chosen a likely stock exchange. A $150 billion valuation would make Ant's IPO one of the biggest ever - comparing to the $104 billion of Facebook Inc six years ago and Alibaba's $168 billion in 2014. A fundraising document seen by Reuters showed Ant planned to list both in China and Hong Kong in 2019, and its investors joining the latest fundraising could expect to exit within one to three years. Ant declined to comment on the document. Strong demand from investors looking to position themselves ahead of Ant's potential IPO has resulted in a much higher amount than an initial target of up to $5 billion, which Reuters earlier reported. 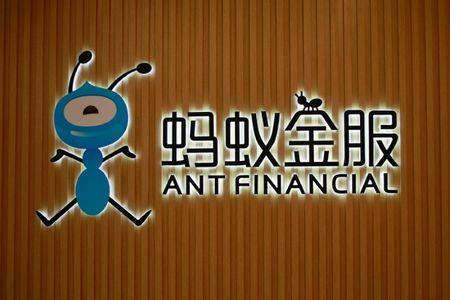 Four-year-old Ant, which was spun off from Alibaba when the group went public in New York, has diversified over the years into credit services, asset management and online banking, besides owning the Alipay payment platform. After becoming a dominant in payments in China, the company has also invested in a number of internet-based startups including Chinese bike-sharing company Ofo, food delivery app operator Ele.me and Indian payment company PayTM. The firm counts China's sovereign wealth fund, China Investment Corp, state lender China Construction Bank Corp, the country's National Social Security Fund and big state insurers, among others, as investors from previous funding rounds.